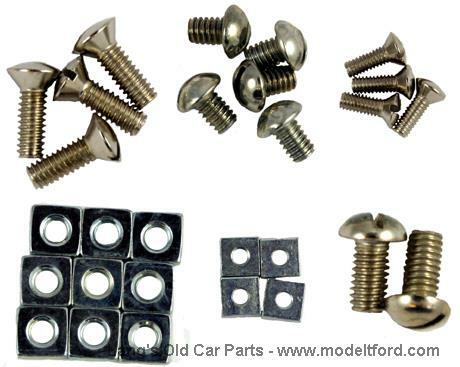 Fordor and Sedan interior trim screw set. Interior trim screw set, Nickel plated. For Fordors and Sedans.